The "Real Housewives of Beverly Hills" star has been through a lot in recent years: a Lyme disease diagnosis, a divorce from producer David Foster, stepping away from "The Real Housewives" limelight, and signing a new TV show. Now she's topping it all off with the sale of her post-divorce Los Angeles condo. Hadid picked up the place for $4.59 million shortly after announcing her divorce in December 2015. Just a year and a half later, she's turned a small profit with a selling price of $4.995 million to an unknown buyer. 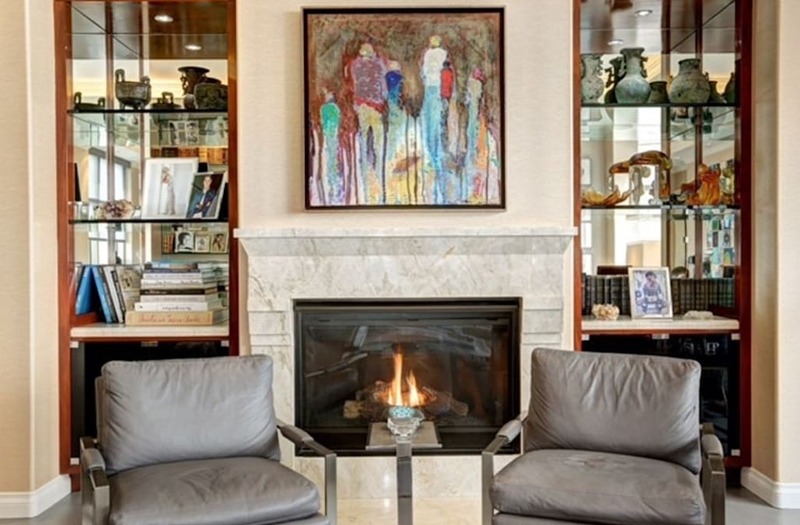 The stylish condo, located in the famous Carlyle Residences, spans 3,950-square feet. With 3 bedrooms and 3.5 baths, it's not quite as extravagant as the Malibu mansion she once shared with Foster, but it's still plenty spacious. High-end finishes and features fill the home, including quartz kitchen countertops, crystal chandeliers, rare onyx and granite baths, and automated UV-blocking window shades. The condo's many oversized windows offer sweeping views of Los Angeles. The abundance natural light, combined with a neutral color scheme and lots of white bedding, creates an airy, open feel throughout the customized home. Also worth noting are the five-star amenities the building provides: valet, a concierge, wine storage and, of course, a pool for those sunny L.A. days. Quiz: Which Celeb Neighborhood is the Best Match for You?